Brief Bio: Marcus Guiliano is the chef, owner of Aroma Thyme Bistro located in the bountiful Hudson Valley of New York. Chef Guiliano has been an advocate for over 10 years on healthy, sustainable, local and real food. He found his mission in cooking when he reversed over a handful of medical conditions including 28 years of asthma. For more information visit www.chefonamission.com. Aroma Thyme is know for their “stealth health”(Zagat). The Bistro has an award-winning wine list from Wine Spectator Magazine and over 200 beers. 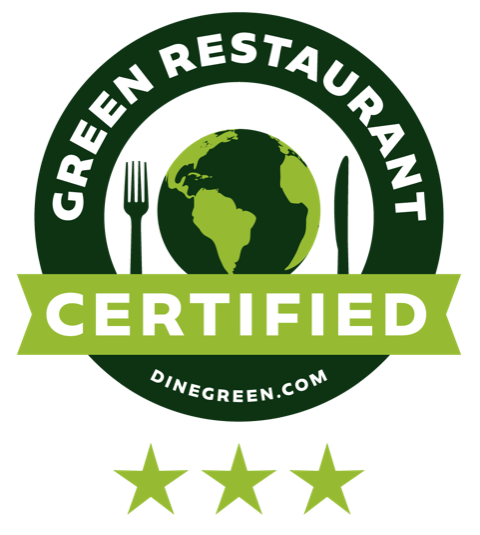 Aroma Thyme is certified green by The Green Restaurant Association. Why is the pairing of food & beer important to you? Beer is more creative than wine. It allows me as a chef to be more adventurous. What got you started on pairing food & beer? It all started when I opened my own restaurant. I didn’t want the big brands of flavorless beer in my restaurant. I have actually had people leave my restaurant because they couldn’t get a Bud. As a chef if I take the time to combine flavors in my food it would be great to offer beer that the brew master did the same. Who are the chefs you admire? I was always a fan of Marco Pierre White in my earlier career. Currently I am still a huge fan of Raymond Blanc from Le Manoir in Great Milton, England. What are some of your favorite pairings? I love to experiment with beer and cheese. You never know what goes together until you experiment. I love Indian food and Tripels. But I’m huge hophead too. I’ll drink a dry big IPA any day with grilled salmon or a creamy soft cheese. Favorite style / beer to pair with? I like to pair food with Tripels. The crispness of that style can waken up flavors in food. Favorite all time beer? I always go back to the Ommegang Abbey Ale. Then comes Unibroue La Fin du Monde. No matter how many beers I have on my list or taste I am always amazed when I go back to those two. Feature dish in which you pair beer with food or use beer in preparing the dish? We make all of our meatloaf with beef. We soak the breadcrumbs in a pale ale or IPA. You can definitely tell that there is beer in the meatloaf. Then we sauté onions and mushrooms in the same beer. Thoughts on the future of food & beer in fine dining? Chefs need to wake up and realize beer is much more than the mass produced stuff that pairs with hot dogs. Favorite restaurant in a city not your own? Café D’Alsace in NYC has a great list with awesome food. Any other thoughts? It is very upsetting when you go to fine restaurant with hundreds of wines and then they drop the ball on beer. It makes me think that they are lazy or just under estimate what beer is. But they take the time to research wine, build a wine cellar or some fancy tower to store the wine. But then all you can get is mass produced cheap beer. 1. Mix breadcrumbs and beer. 2. Mix well all ingredients except cheese. 3. Bake in a loaf pan at 375˚ for 45 minutes, or until internal temperature reaches 165˚. 4. Serve on grilled bread topped with crumbled blue or by itself.